Designed for use with overhead projection transparencies. 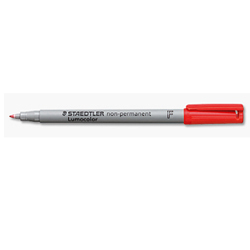 Writes on smooth surfaces such as coated paper, plastic, glass and ceramic. Wipes off slick surfaces with a moist cloth or tissue.